Unlike Ajanta Caves, Ellora Caves are more diversified because these were built by more than one dynasty with varied religions and cultural views. It is in the Western Ghats where the Deccan magma plateau has left it traces. The timeframe of rock cutting of Ellora Caves dates from 7th century to 10th century into the first millennium of the Common Era. The Ellora Caves are engraved and sculpted with three unique styles of sculptures - the Hindu, the Jain and the Buddhist. There are 34 caves in total with parts of these being connected to each of the aforementioned religions. The 16th cave is particularly famous because its Lord Shiva's temple called Kailash. The Hindu sects have all of it subsets like Vaishnavism, Saivism, Shaktism etc in here. 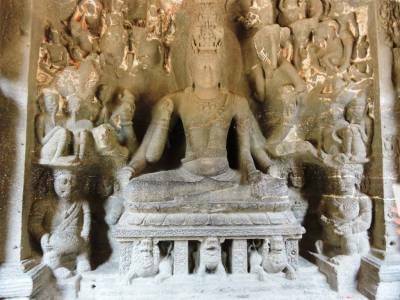 The Hindu and Buddhist caves were sculpted by Rashtrakutas whereas the Jain caves were architected by Yadava Dynasty. 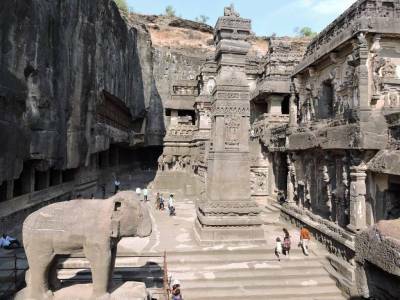 The Ellora caves are one of the most elegant citadels of rock cutting architecture. This site is conserved by the Archaeological Survey of India (ASI) and has been designated by UNESCO as a World Heritage Site. 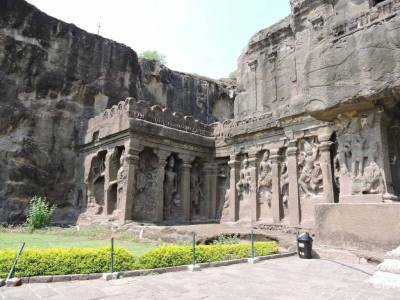 The Ellora Caves are a must visit for every traveller visiting the Indian State of Maharashtra. It is located about 29 KM from the Aurangabad City and is well connected by road. 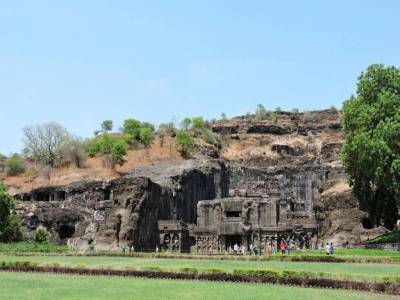 Get quick answers from travelers who visit to Ellora Caves.